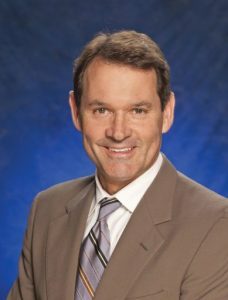 Dr. Jeffrey S. Plagenhoef, chairman of the Department of Anesthesiology at Baylor Scott and White Medical Center – Hillcrest in Waco, Texas, and a 1987 graduate of the Medical College of Georgia, has been named president of the American Society of Anesthesiologists, the nation’s largest organization of physician anesthesiologists. Plagenhoef was elected at the ANESTHESIOLOGY annual meeting in Chicago and will serve for one year. Plagenhoef has held numerous positions in the society, including serving on the ASA Executive Committee as president-elect. He has also chaired and served on many ASA committees, task forces and workgroups. Notably, he was appointed the inaugural chair of the Anesthesia Quality Institute’s board of directors and chair of ASA’s Committee on Anesthesia Care Team. For his leadership on the ASA Political Action Committee Executive Board and exemplary advocacy efforts, he was the recipient of the ASA Excellence in Government Award. For the Alabama State Society of Anesthesiologists, Plagenhoef served as president, payer liaison, legislative liaison and on its executive committee and board of directors for more than a decade. Additionally, he was president of the Houston County Medical Society and served in leadership positions within the Medical Association of the State of Alabama. Plagenhoef completed his anesthesiology residency, focusing on cardiac anesthesia, at the University of Alabama at Birmingham. Plagenhoef’s wife, Dr. Deborah L. Plagenhoef, also an anesthesiologist and leader in the specialty, was recently elected president of the Texas Society of Anesthesiologists. They have six children: Nick, Madelin, Alex, Drew, Kenzie and Sydney. 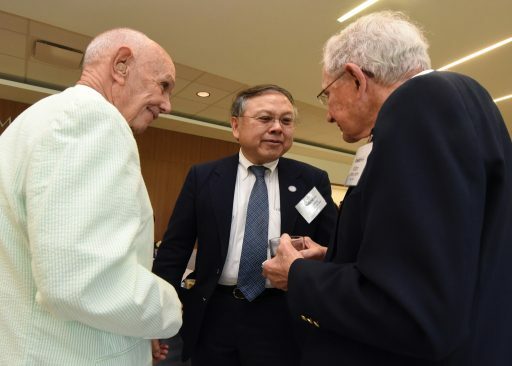 A navy-trained surgeon and researcher who was a longtime president of the Uniformed Services University of the Health Sciences and a longtime faculty member who heads the Medical College of Georgia chapter of the Alpha Omega Alpha Honor Medical Society, are recipients of 2016 MCG Distinguished Alumni awards. Dr. Charles L. Rice, a 1968 graduate, was named MCG’s Distinguished Alumnus for Professional Achievement. Rice was the fifth president of USU, the nation’s federal health sciences university that educates health care professionals dedicated to career service in the Department of Defense and the United States Public Health Service, until his retirement earlier this year. As president, Rice was responsible for the academic, research and service mission of the university. 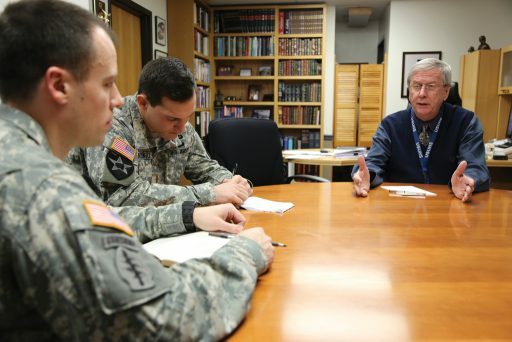 He also advised the assistant secretary of defense for health affairs and the four surgeons general on issues related to graduate health professions education and health care research. His prior positions include vice chancellor for health affairs at the University of Illinois, Chicago, and vice dean of the UIC College of Medicine. Rice also served as the acting assistant secretary of defense for health affairs from March through August 2010. An Atlanta native, Rice earned a bachelor’s degree from the University of Georgia in 1964. After completing medical school, he did an internship at Wake Forest University’s Bowman Gray School of Medicine and then went on to a general surgery residency program at the National Naval Medical Center in Bethesda, Md., followed by a research fellowship at the Naval Medical Research Institute. He was commissioned in the Naval Reserve Medical Corps in 1966, and was transferred into the Navy in 1969. He left active duty, but remained in the Naval Reserve, through which he was promoted to Captain in 1991 and retired in 2003. 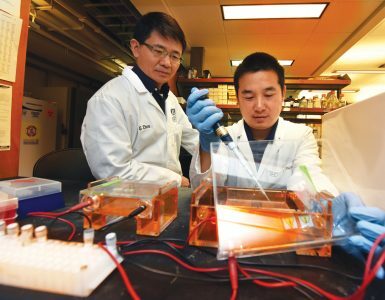 His research interests, many funded by the National Institutes of Health, have been in the biology of lung injury and in mechanisms of cell and tissue injury in shock. His clinical focus has been in trauma and critical care. Rice is a diplomate of the American Board of Surgery, a fellow of the American College of Surgeons and a past president of the Shock Society. He was a Robert Wood Johnson Health Policy Fellow and served as a legislative assistant to Senator Thomas A. Daschle (D-SD) from 1991-92. During that time he also served as the trauma surgeon to the president of the United States. He was a member of the Board of the Accreditation Council on Graduate Medical Education from 1998 to 2004 and served as its Chair from 2002-04. Dr. Clarence Joe, who graduated from the state’s public medical school in 1977, received the Distinguished Alumnus Award for Loyalty. 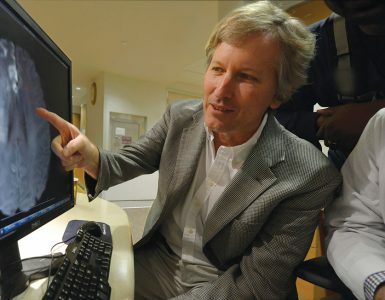 Joe, who also earned a dental degree at Augusta University’s Dental College of Georgia in 1973, completed an internship with the U.S. Public Health Service and a radiology residency at his alma mater. He served as Lt. Commander at the U.S. Public Health Service Hospital in New Orleans and as medical director of the Tri-County Health System in Warrenton, Ga., before joining the MCG faculty in 1983. Joe has served in numerous leadership positions at MCG including on the Academic Council, Faculty Senate and the Alumni Association, for which he chaired the Scholarship Committee. He is an active member of the Richmond County Medical Society, having served as treasurer, secretary and vice president, and is a delegate to the Medical Association of Georgia. He has served as an at-large member of AU Medical Center’s Medical Executive Staff Committee and as coordinator of medical student education for the Department of Radiology and Imaging. Joe has served on the National Resident and Intern Match Committee. He is an active member of the MCG Faculty Senate, including serving a term as president. He has chaired the Phase III Curriculum Committee, and served as a member of the Faculty Appointments, Promotions and Tenure; Post-Tenure Review; Nominating; Student Promotions; Student Admissions; Faculty Recognition; and Rules and Bylaws Committees. Joe is councilor of the Alpha of Georgia Chapter of the Alpha Omega Alpha Honor Medical Society. In that position, he elects third- and fourth-year medical students to AOA, writes the chapter’s newsletter and arranges for visiting professors. He is a fellow of the American College of Radiology and a member of the Radiological Society of North America, the Georgia Radiological Society, the American Roentgen Ray Society and the Society of Skeletal Radiology. 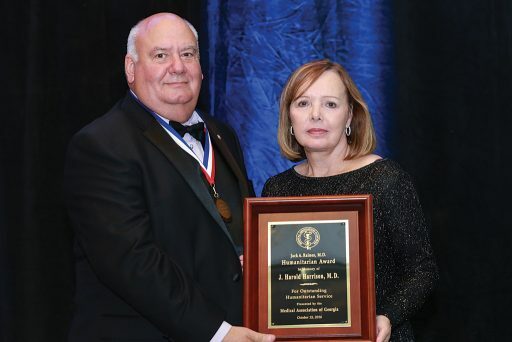 He has received nine Educator of the Year Awards from graduating medical classes and the Teacher of the Year Award from the Department of Radiology and Imaging. He was inducted as a fellow of the American College of Radiologists in part for his teaching efforts and service in the field of radiology. Dr. J. Harold Harrison, a 1948 graduate of the state’s public medical school and a renowned vascular surgeon, was posthumously honored as the recipient of the Jack A. Raines Humanitarian Award for 2016 during the Medical Association of Georgia’s 162nd House of Delegates Meeting in Savannah, Oct. 15. The award, given to a physician for outstanding humanitarian contributions beyond the normal practice of medicine, was accepted by Harrison’s wife, Sue. 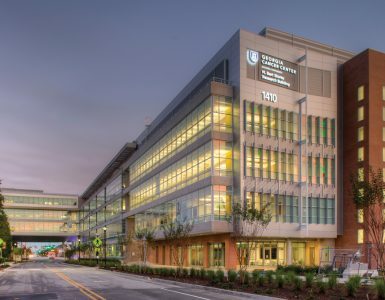 The Harrisons’ donation of $10 million helped build the J. Harold Harrison, M.D. Education Commons, which opened in 2015 and is the academic home of the Medical College of Georgia at Augusta University. In April 2013, the MCG Foundation announced a $66 million gift from his estate, the largest gift ever to any public institution in Georgia and one of only a handful of such nationwide. Harrison’s gift is providing funding for 10 endowed chairs and 48 student scholarships to MCG.